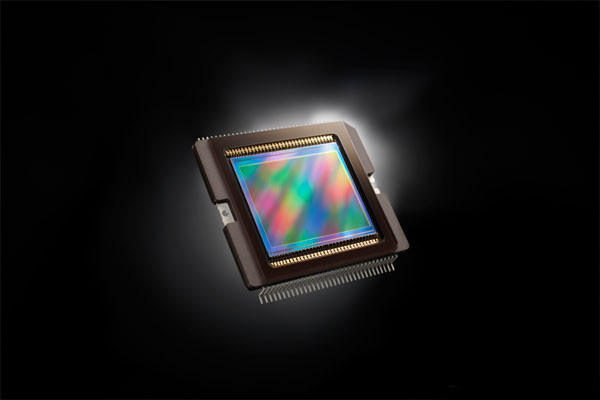 A new 1.5-inch, 14.3 Megapixel High-Sensitivity CMOS sensor combined with the power of DIGIC 5 Processor able to creates Canon’s HS SYSTEM for excptional low-light performance up to ISO 12800. 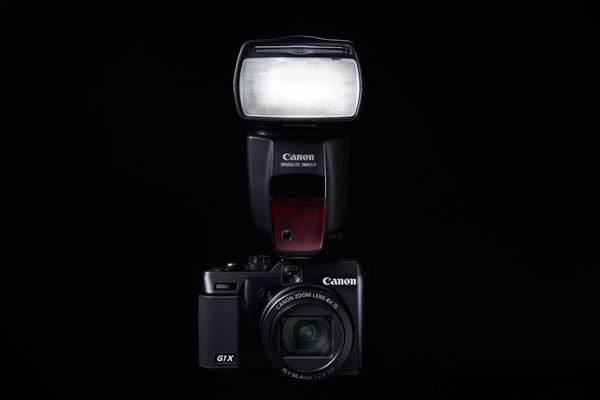 Full range of shooting and recording modes: 14-bit RAW + JPEG, found in Canon DSLR cameras. 1080p Full HD video, stereo sound with a dedicated movie button; zoom while shooting and play back videos on an HDTV via the HDMI output. 4x Optical Zoom with Optical Image Stabilizer, plus a 28mm Wide-Angle Lens delivers exceptional image quality and allows you to capture more in your frame. 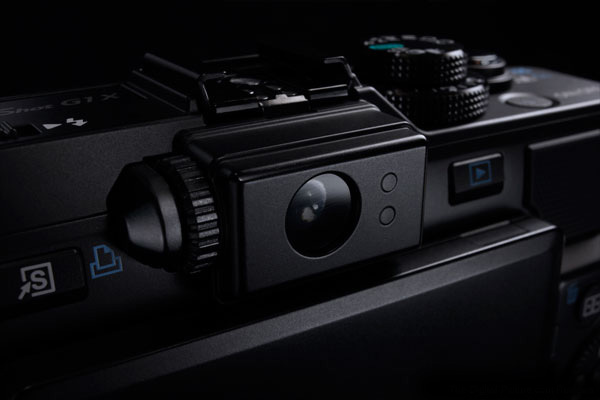 Intelligent IS automatically select from six different modes to optimize image stabilization. Bright 3.0-inch Vari-Angle PureColor System LCD with 922,000 dots for shooting at a variety of angles plus an optical viewfinder. High-Speed Burst HQ with continuous capture at a maximum of 6 frames* while maintaining superb image. 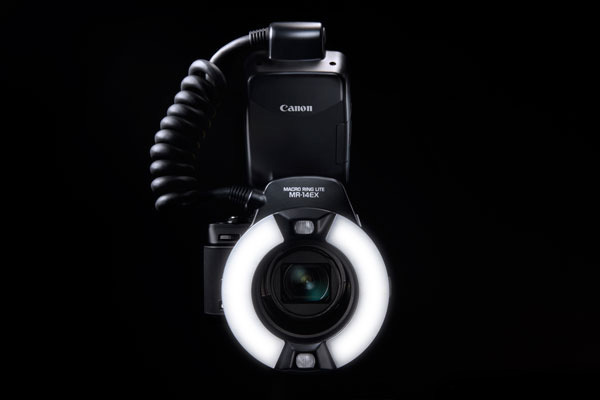 Compatible with all Canon Speedlite system. Mode Dial and Front Dial provide intuitive manual adjustment. HDR scene mode combines multiple shots into one picture showing greater image detail. 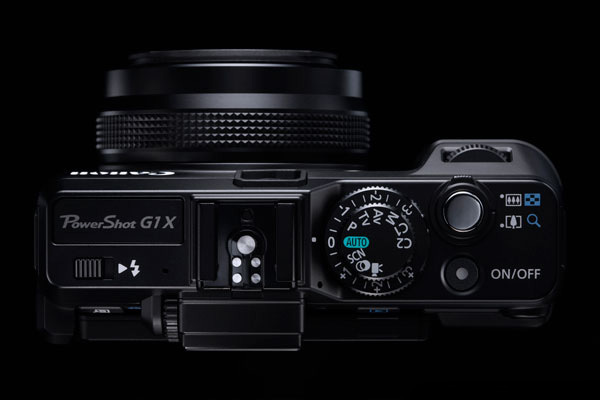 First look at the Canon G1X and one gets a distinct feeling that the camera is designed very much in the lines of the Canon G series compact models. 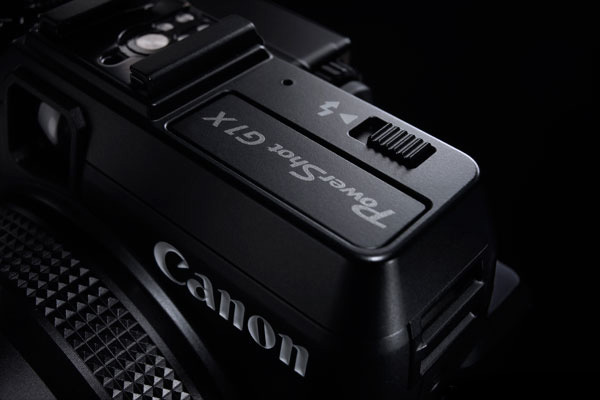 It is in fact labeled as one, but Canon does not intend this camera for the amateurs. 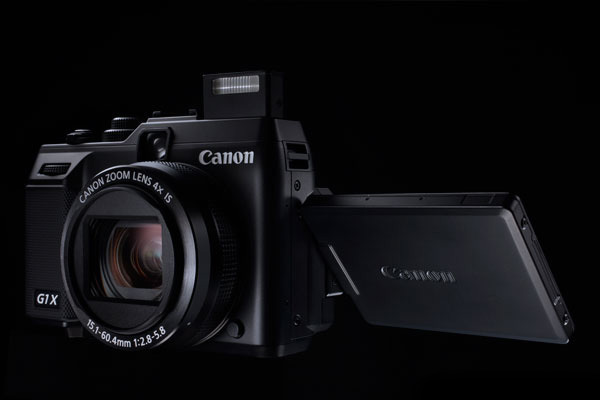 Canon in fact markets the camera as one for those who already own a DSLR and are looking for something more light weight and a bit discreet when the demands of the moment are as such. 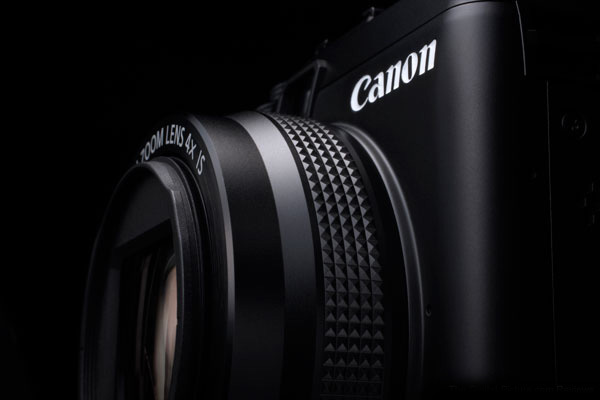 Canon has not gone the path of other compact mirrorless models and opted for a fixed lens instead. Well for a camera manufacturing company which makes premium quality DSLR cameras, it would obviously want to be able to keep selling them. 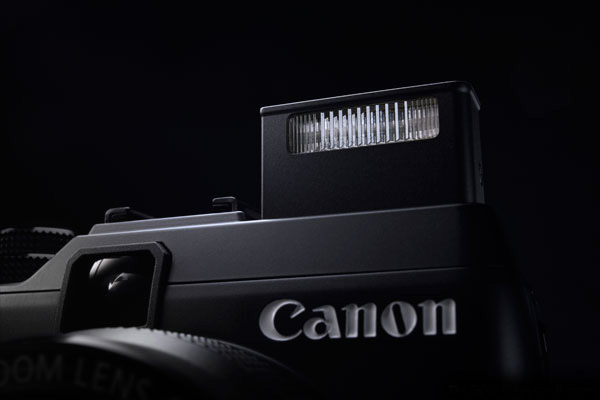 So when the market is now starting to get a dose of large sensor interchangeable lens compact cameras, Canon has decided that it does not need interchangeable lenses in a compact body. 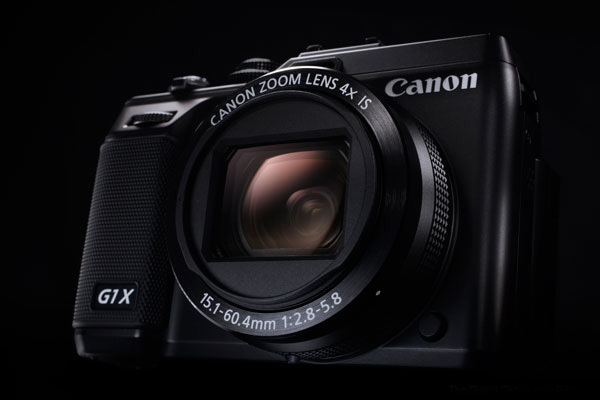 The large 1.5” CMOS sensor gives it a resolution of 14.3 effective megapixels. 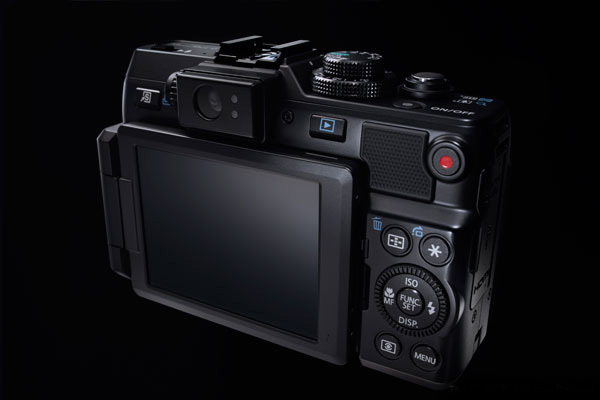 By and large the sensors are bigger and better performing than the Nikon 1 series which comes with the new 1” sensors. 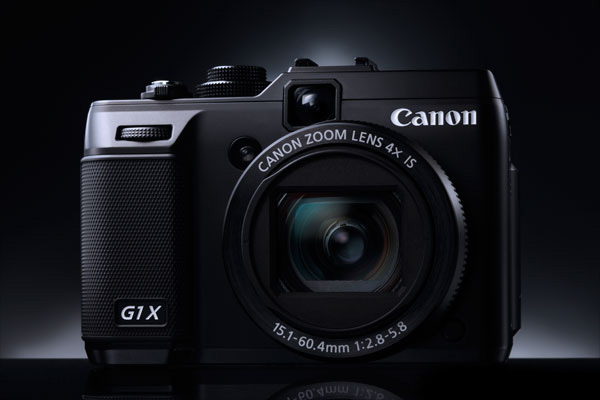 A 4x optical zoom gives the Canon G1X a range of 28mm to 112mm on a 35mm format equivalent. 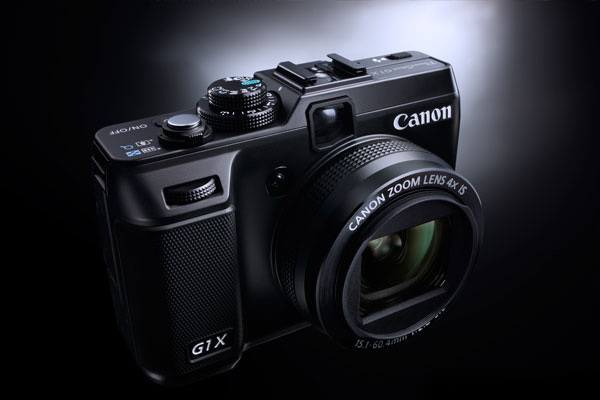 Compact shooters will say that this is nothing compared to some of the other models from Canon and other manufacturers. 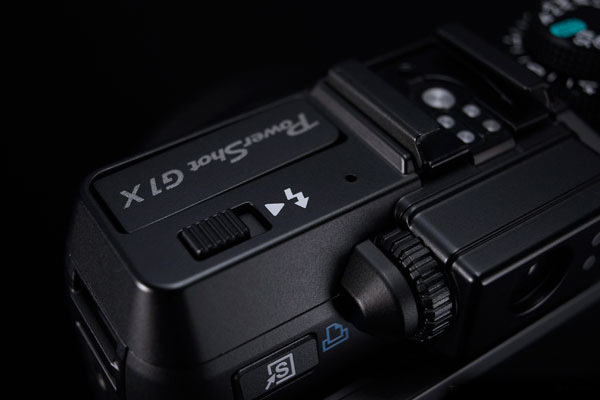 But then rarely does a camera combine the benefits of superior quality ergonomics and features such as that of the famed G12 in such pocketable format and yet give a respectable zoom range to boot. 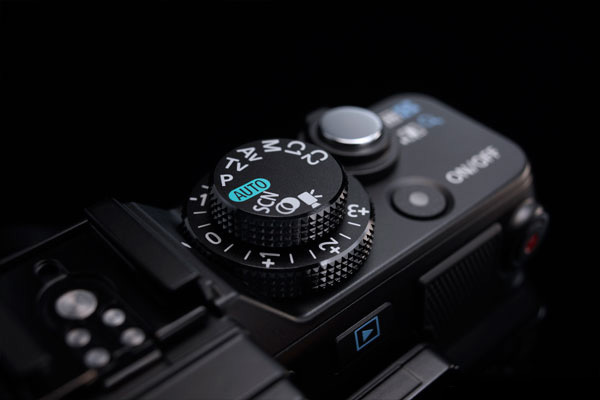 At f/2.8-5.8 the maximum aperture across the zoom range is something that is not going to mighty pleasing to a low light photography enthusiast, but it is far better than any pocketable format camera in the market. 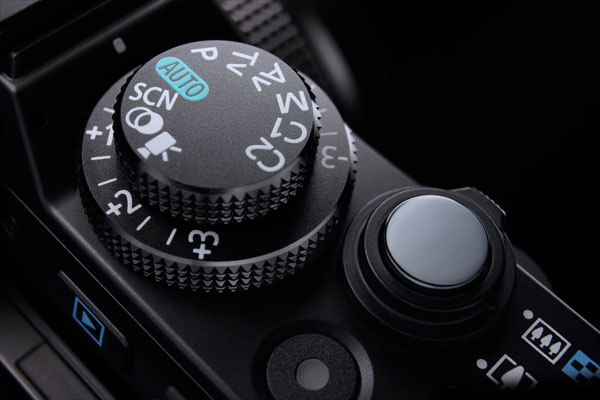 Additionally the manual controls offer plenty of options for a discerning photographer. 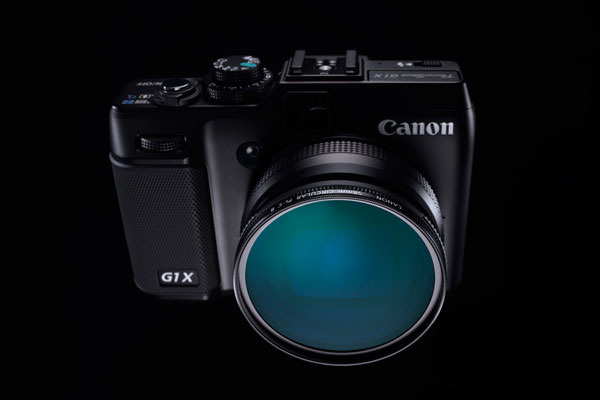 The G1X comes with an optical viewfinder. This offers only 80% coverage of the field of view and offers only a tunnel view that will not excite any pro shooter. 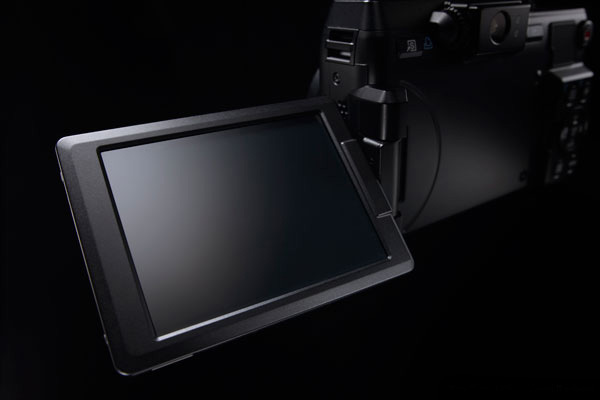 The 3” LCD TFT screen offers 100% coverage of the field of view and has 922,000 dots resolution. The biggest USP is that it tilts and swivels to any angle and offers the photographer an amazing amount of flexibility when composing his shots from tight angles. Image quality is top among the point & shoot category. 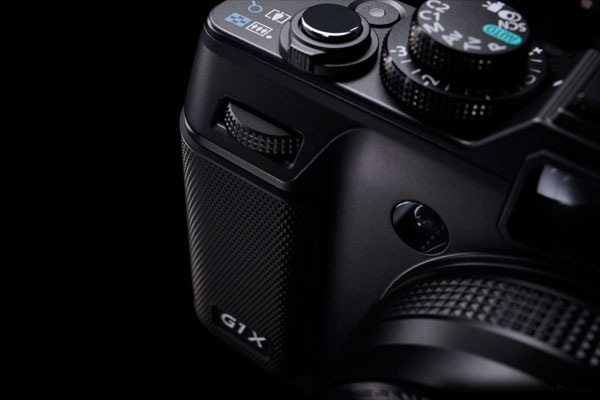 The G1X comes with 14 bit RAW shooting mode. A great option for both pros and semi-pros. Post processing is a major concern for most pros and they want to be able to keep that in their hand even when not using a DSLR. This should make a lot of them happy. The camera has an operating ISO range of 100 – 12800. This is quite large and though the sensor is much smaller to an APS-C format, it makes the most of the size to perform respectably well in low light. 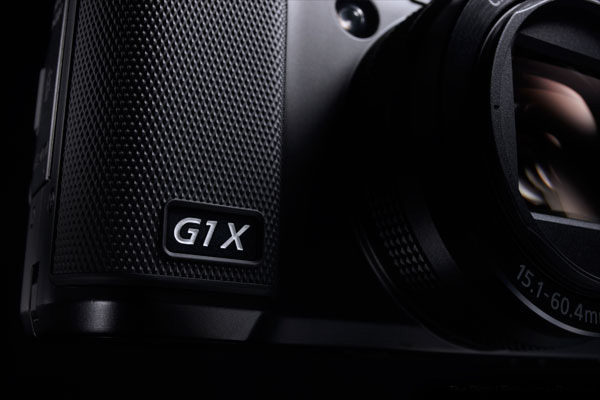 The G1X offers a full HD video recording option at 1080p. 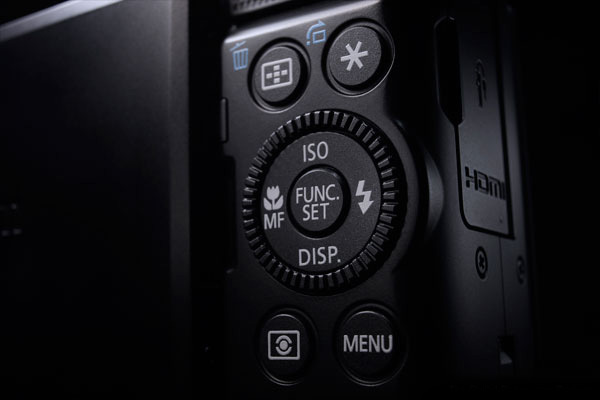 However as there are no manual options, one cannot adjust the ISO, shutter speed or aperture. Also there are no external audio rerecording jacks.